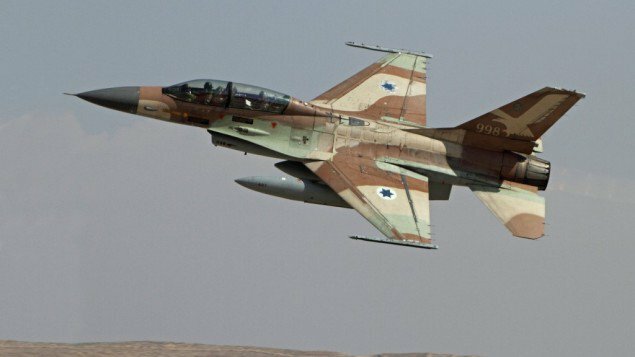 Israeli occupation military said its aircraft had attacked several targets in northern Gaza strip late Wednesday night. The occupation military claimed on its account on Twitter that it had attacked targets belonging to Hamas Palestinian resistance movement. Four of the targets “were buildings and terror infrastructure in a military compound,” while three strikes targeted a weapons production facility, the IOF claimed on Twitter. The strikes came few days after occupation forces committed a horrible massacre in Gaza, killing at least 62 Palestinians, including an infant and a disabled man. 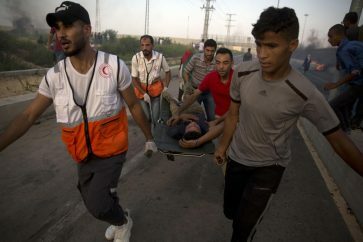 The Israeli massacre, which has been denounced by several international powers, took place along Gaza border with the occupied territories on Monday, May 14, a day before the Nakba (Catastrophe) anniversary which marks the creation of the Zionist entity in 1948. 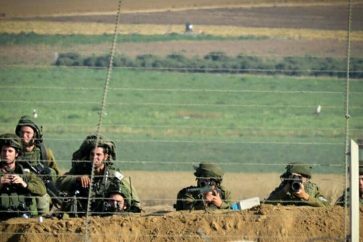 In recent weeks, Israeli sharpshooters have fired on thousands of protesters near the Gaza border fence. The number of Palestinians martyrs surpassed 100, in addition to thousands of injured people. Children, journalists and medical personnel have been among the victims.